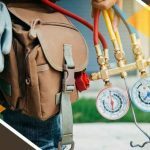 Factors to Consider Buying New Thermostats | HVAC Construction, Inc.
Thermostats have come a long way from being merely a control panel for controlling the room temperature. Today’s thermostats offer a wide selection of options that let you remotely control room temperatures and even save energy by automatically turning your HVAC system on when you’re home. 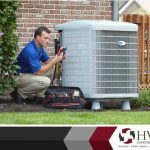 When buying new thermostats, most heating and cooling contractors will keep the following factors in mind. The more features your thermostat has, the more it will cost. Several of these features are genuinely useful and can help you get the most out of your system. Fortunately, certain thermostats cater to every level of requirement. If you follow regular schedules, a simple programmable thermostat may be suitable. More dynamic lifestyles may require advanced features such as wifi control or “learning” capabilities. The idea is to have features that you can actually use, not just for the sake of having a system with all the bells and whistles. Unless your HVAC system is up for replacement, account for compatibility when buying a new thermostat. 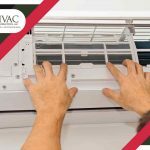 Not all thermostats are designed to be backward-compatible with older air conditioners, so do your research on a particular product. Most products have downloadable user manuals, which you can obtain with no purchase required. If in doubt, you can consult your HVAC contractor. Non-connected programmable thermostats are compatible with traditional low-voltage wiring, but recent models require a “common wire” or C-wire. It functions as the thermostat power source since the device needs to be constantly powered on for its display, sensors, and WiFi connectivity. 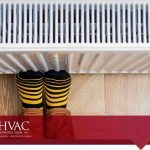 If you’re unfamiliar with thermostat wiring, a certified HVAC contractor can check your existing and make appropriate recommendations. 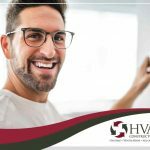 Thermostats and More With HVAC Construction, Inc.
HVAC Construction, Inc. can help you find the thermostat that fits your requirements. Call us today at (801) 298-4822 or fill out our contact form to schedule an appointment. We are located in North Salt Lake, UT and serve nearby areas.